Ashburton Grove - Arsenal news and Arsenal opinion: Wenger to start Mertesacker and Arteta -Santos, Benayoun & Park on bench? 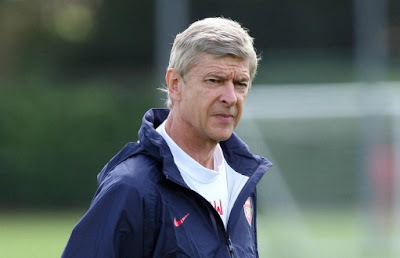 Wenger to start Mertesacker and Arteta -Santos, Benayoun & Park on bench? Arsene Wenger must decide which of his five summer signings to hand their Arsenal debuts this afternoon. With the manager still hamstrung with injuries and suspensions, the Frenchman is set to hand all five a place in his match day squad. With the injury to Thomas Vermaelen due to keep him on the sidelines for more than a month, German international Per Mertesacker could well be one of the first on the team sheet. The decision over who partners Mertesacker is a bigger question. Laurent Koscielny has been preferred in the opening games of the season to Johan Djourou. And I would expect the Frenchman to keep his place over the Swiss international. At left back, with Andre Santos lacking match fitness and Kieran Gibbs returning from injury, I expect Wenger will opt to hand a chance to the English defender. This will also give the defence more stability with Sagna, Koscielny, Gibbs and Szczesny all having started the match at Newcastle and Udinese at home. Emmanuel Frimpong is available after suspension and I expect him to drop in alongside Aaron Ramsey. Theo Walcott has been passed fit and I expect him to play on the right with Andrey Arshavin taking the left hand side berth with Mikel Arteta playing behind Robin van Persie. The bench should see Lukasz Fabianski take the goal keeping spot with Santos and Djourou the available defenders. There is a lack of available fit midfielders, so we might see Francis Coquelin handed a place. Loan signing Yossi Benayoun should also take a spot. There is a doubt over whether Park Chu Young will be available because of a visa issue and Alex Oxlade Chamberlain is on stand-by to replace the Korean. Marouane Chamakh is the seventh player on Wenger's bench.